The brick. An often overlooked commercial vehicle that is becoming more and more of a gem in the VW range. 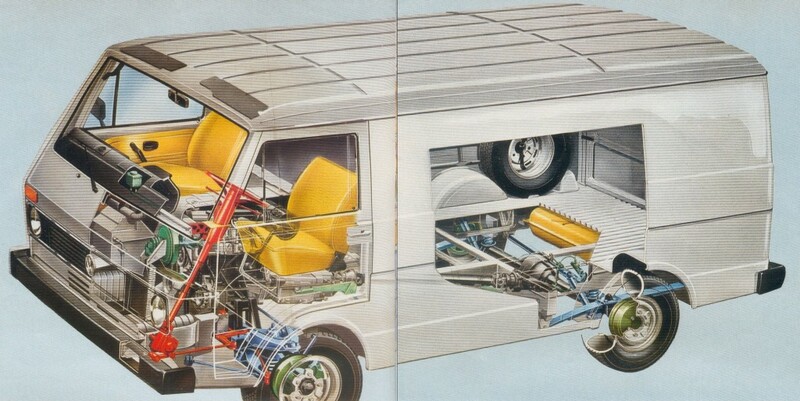 We’ve seen too many classic split screen revivals, too many rat-look bays, too many pointy noised T4’s, and too many hot rodded T5’s, but the LT – and particularly the LT Mk 1 – was a square box onto which very few professional converters fitted their wares, leaving instead a world full of self-builds, and in tow a world full of stories to tell. This site tells a few of those stories and hopes to serve as a memory of these fantastic vehicles (the Mk 1’s have now not been in production for 20 years). 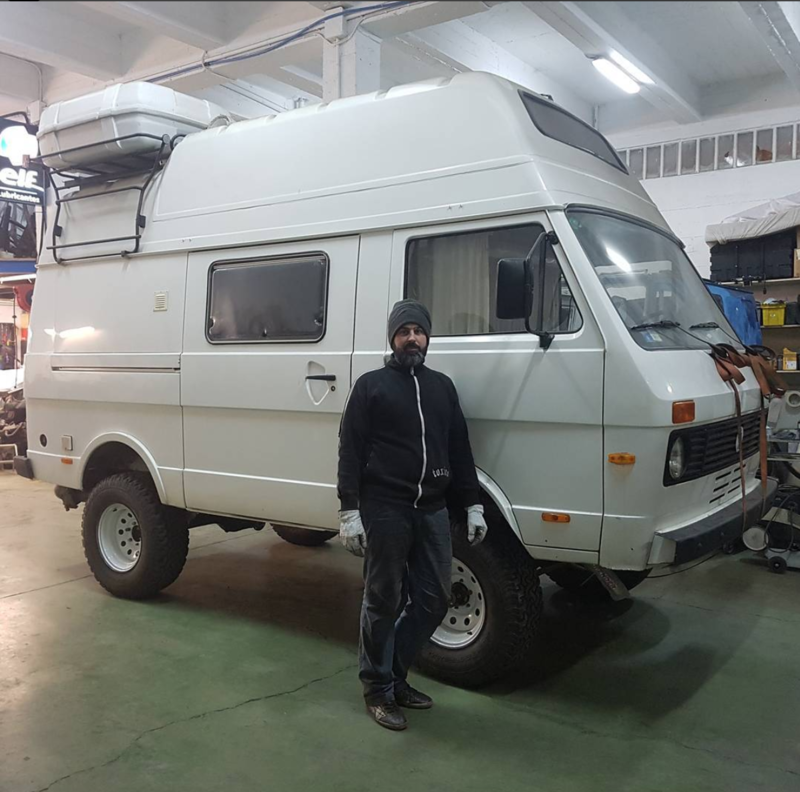 There’s some blurb on the van’s themselves (some nicked from Wikipedia, some nicked from Brick Yard), a brief history and summary of the main conversions – the Sven Hedin and Westfalia Florida, some stuff on the mighty 4 x 4 LT, a blog, event details and more. Please feel free to contribute. Drop me a line if you’ve written something that you’d like published. Maybe you’ll be inspired by some of my build stories or journal entries and write your own. I’m always up for posting more LT photos, and you can sign up to follow me on Pinterest top right. 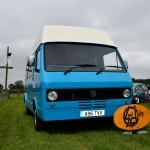 This website is brought to you in conjunction with VOLT the VW LT Owners Facebook group. BUT I TOLD YOU SO!!!!! Having had what I presume was the first ever LT field at a large VW event this summer it does finally feel like the worm is turning Ian! My wife and I have only bought our brick in May this year, lt35 hi torq, and love it to bits. 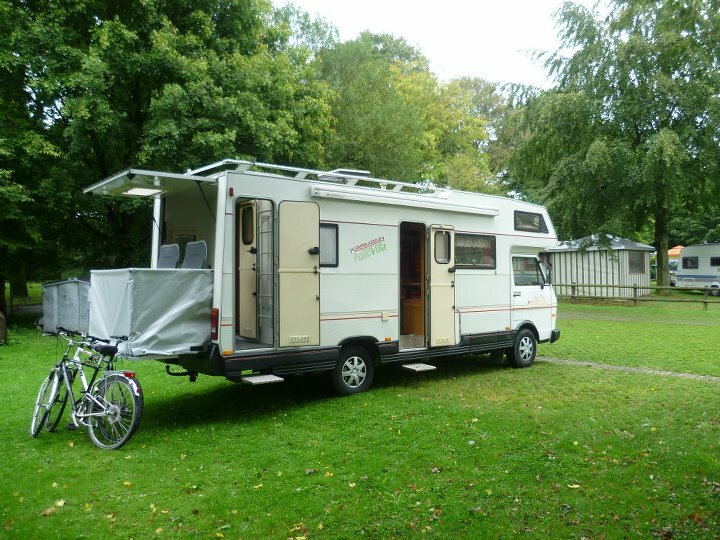 We would be willing to meet up with other owners as when we have been out this year have been told how rare our unit is! Den please let me now if this happens, would love to take a long drive with my LT31 from Germany and take some videos. I have bought an lt35 hi torque this tear and when we have been out and about been told they are so rare! Howmanyleft.com says that 2014 has seen approximately a 10% increase of registered LT Mk1’s in the UK, after a steady 10+ year decline. There’s an LT in the picture that I converted back in 2002 and sold in 2005 or 6, it’s G704 PDV, I’d love to trace the owner and buy it back! Can you help? Hi there – I have an 1985 LT25. Beautifully converted by a boat builder. Just failed MOT on 3 minor things, one being not enough pressure behind water to windscreen wipers. Firstly, where does the water go? 2ndly, how do I get to the squirters? Use Chrome for instant, decent translation, but the pictures might give a clue. There is a lot of accumulated knowledge in the Yard too, scroll down to LT Chat,and some pictures of yours would help. Yeah…not on facebook. Got it home now so will have a look around the chassis. Already been told the header tanks & gear gaiters are not available, any suppliers about? Sometimes headers turn up new but there are four? different types. Breakers/eBay is the only way at the moment. Gaiters are the same but a universal one can tide you over. Also saw one at Mugello, amongst farsands of campers, walked past it twice before someone pointed it out. Next year! Hi. 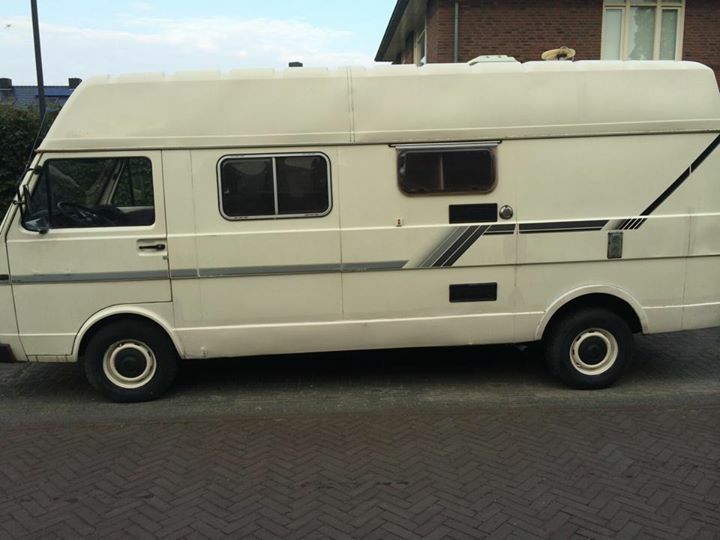 I have just bought my 4th LT camper. It appears to be a professional conversion with a shower cubicle just behind the cab area. 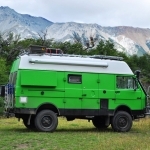 Do you have a list of which companies offered LT camper conversions? Am thinking of buying a 1984 petrol LT28, but several people have put me off by saying it’s impossible to find parts. Should I listen to them or not? anybody know where to obtain a brake bias vale from? Will the ‘bricks’ be making an appearance again at the Adventure Overland Show this year? It’s the 5th edition of the event, now held within the prestigious setting of Stratford-upon-Avon Racecourse, Warwickshire 24-25 September 2016 – http://www.adventureoverlandshow.net If so I can position you in alongside Club 80-90 Sycronauts as before. If you can make it, please email me at 4x4trading@talk21.com for a Club Display Stand Booking Form. Can anyone help please? My daughter has a extremely reliable 1982 LT35 with a 2lt four cylinder petrol engine with a 4 speed gearbox. However there is grating noises when in 3rd and 4th and the local garage said it is the gearbox. I have tried everywhere to find a used gearbox and discovered the 2.4lt engine one does not fit. Read somewhere that a 5 speed can be fitted, but not sure if this is true. Anyone any ideas where I can find a box or if a 5 speed will definitely fit? 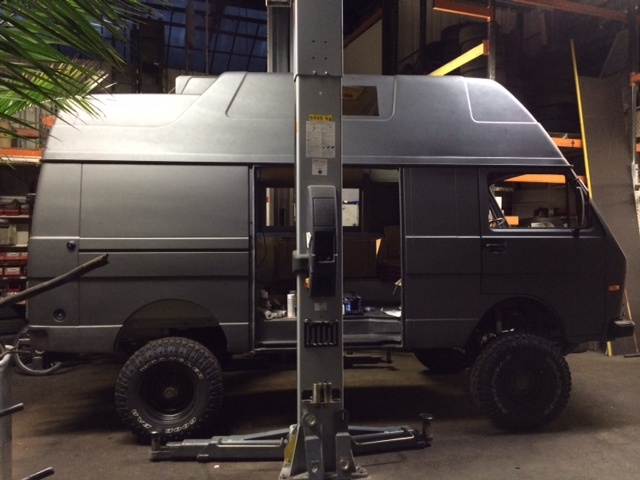 Breaking vans will be the only way to get a gearbox. 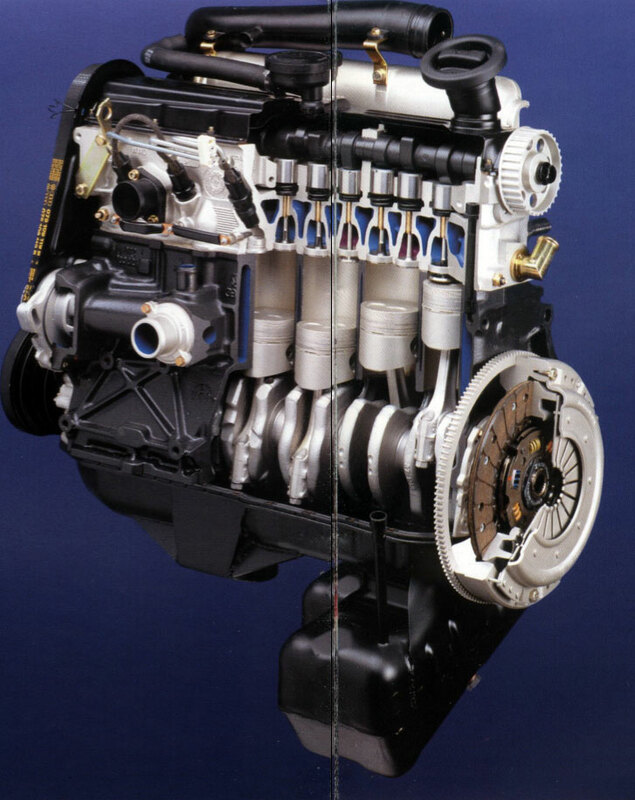 The whole drive train could be transplanted, D24 engine to rear axle but because the 2l engines has a central prop shaft and the D24 were not it means a lot of work in the enginebay. Hi all, I have an LT32 SWB low roof 2002 does any body know where I can get roof bars from? Also looking for someone who makes ply racking or has a template for some. I would have thought searching eBay would find some easily, unless roofbars are an oddity against roofracks. 2002 is a few years late for us as our model stopped in 1996.
i am not a member but found this site whilst looking into this lt28 the post has been posted on other vw forums . Through sad circumstances i have inherited a 1985 t28 a few months ago , the issue is that’s it in the south of France and some bloke called mairie wants it shifted as it has sat in a parking bay for a while as the previous owner my wife’s dad has died . I know little history of it or what the value of these campers are, so some guidance would be appreciated as I have another bereavement my wife’s step mum to deal with and dealing with the marire and the notaire will take some time as we also have the rest of the estate, a gite (shed with stairs ) to sort out. So the options are is it worth saving or do I let this bloke take it to the metal shopper as he suggested I know it’s sort how longs a piece of string question. I have read this story a few times now and it is indeed sad for you, and also for the fate of the van. I know that many French, German, Dutch and Belgian owners have seen it too. 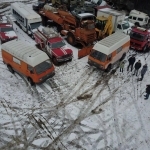 We hope that the van is saved by someone. Hello fellow LT owners and fans. 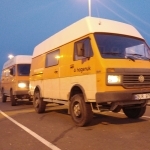 I am a LT and vintage car enthusiast who was lucky enough to acquired an incredible 1992 ex prisoner transport LT31 bus from Dresden Germany with only 42000 original kilometres on the clock. So point of the blog! I have 12 (2x single, 3 x double and 1 x 4seats) original AS NEW 1992 VWLT bus seats and the complete interior including side cards roof lining hand rails over head luggage racks etc that need very good new home. Im not looking for big dollars just enough to cover the time required to carefully pack and ship. 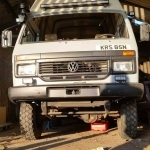 Hi, l have just found this site and would like to add my experiences with an LT40 fitted with the five cylinder petrol engine. On two occasions the pick up in the sump became blocked and the engine seized due to being starved of oil. I would urge anyone with this engine to ensure oil changes are performed on a very regular basis and the pick up filter cleaned whenever possible. 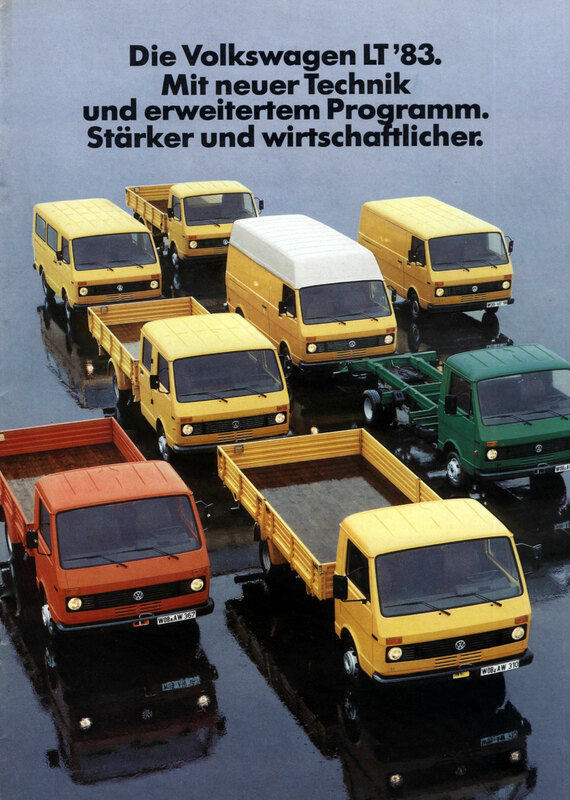 The LT was a great small commercial and streets ahead of the Transit that eventually replaced it. Keep your LT regularly serviced and it will serve you well for many years and miles to come! I have purchased a 1993 lt35 and I’m totally smitten, if a bit terrified too. It won’t start and the battery is sound. Does anyone know where the starting motor is and how I can access it please? I seem to have new problems on problems. Hi. First thing to check is the glow plug fuse which is under the engine cowl in a little black plastic box to one side. They develop hairline cracks which can be hard to spot. Then you should check whether there is power to the glow plugs. Do both of these with a multi-meter. The former would need new glow plug fuses (readily available), the latter a relay (harder to find). If it’s neither of these move on to fuel. LT 1 fuel pumps are notorious for developing air traps so you want to gravity fill it from a jerry can but undoing the clear hose that runs to the fuel pump. Good luck and ask on the VOLT group on Facebook for more info. Hi guys, would like to pick someone’s brains if possible. I’ve been offered a LT35 campervan it’s done 100,000 miles F’ reg 1988. It’s in really good condition.. The problem I’ve got the owner has asked me to make him an offer on it and I have absolutely no idea what it’s worth??? I don’t have any experience at all with VW so any advice would be greatly appreciated. Thanks Rich..
Halo I am looking for the following parts for my VW LT28 1981 this parts ore from another maker can you help me please with this ?